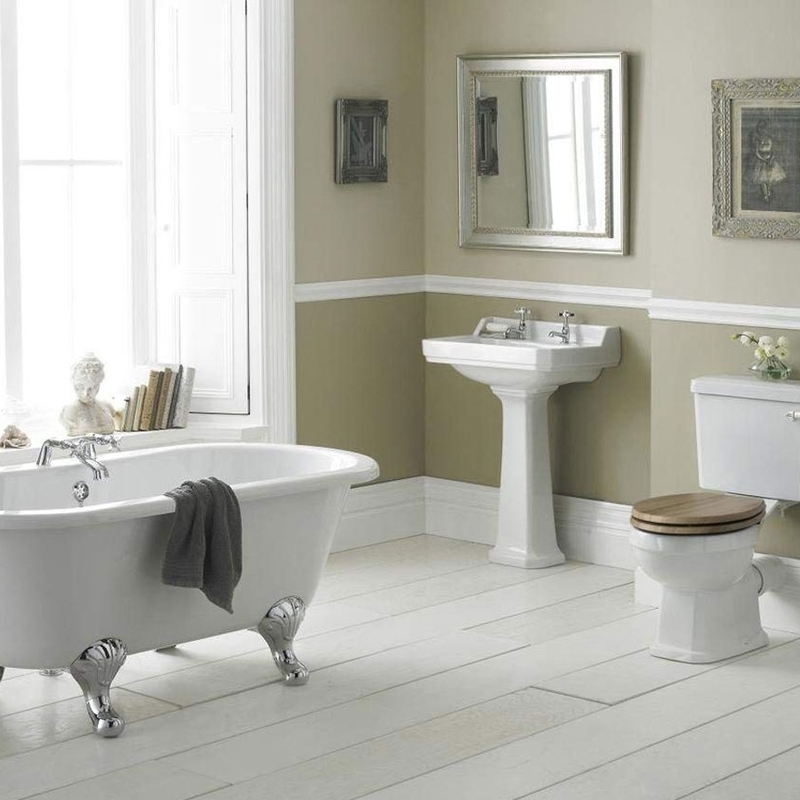 Often it seems that bathroom design is all about the modern and contemporary, so it's refreshing to come across a range like Hudson Reed Carlton, which has its roots very firmly in the past. The traditional style of this basin with full pedestal would be perfect in a period property, or just in any bathroom or cloakroom with a more traditional feel to it. Another huge bonus to Victorian style bathrooms is that they won't go out of date any time soon this style has been around for over 100 years and isn't going anywhere. This Hudson Reed Carlton basin and pedestal are both made from top quality china, and designed to be long-lasting, so it's perhaps no surprise that it comes with a five year guarantee. Choose your perfect taps to go with your new sink we reckon that the cross headed ones would be ideal, but there are lots of options out there to choose from. Whether you're shopping for your home or a commercial premises, we're sure you'll be delighted with your new Hudson Reed Carlton basin, which is kind on your pocket too.